Message Boards - Boba Fett Fan Club → Fans → Do you like shiny pennies or coins? 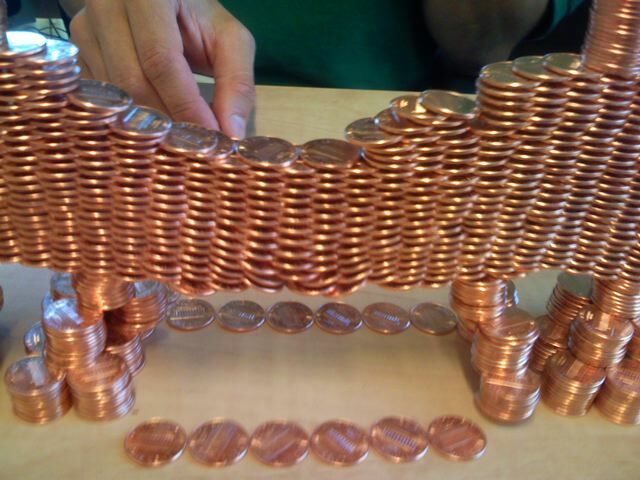 Topic: Do you like shiny pennies or coins? I love them! It may be weird, but there's something about pennies that shine that I just think is dead cool and amazing! Re: Do you like shiny pennies or coins? I like to collect State Quarters. Shiny Pennies are soooo cool! I love them too! I'm going to have to start collecting them! WINNER OF THE MOST RANDOM TOPIC AWARD: GHF/MASTERCHIEF! You're not a kid Green. You really work for MI6 don't you? Or is it the CIA? You're collecting this random info in all these threads and compiling them into a Master File and crunching them in a super computer to see which of us is a terrorist or something arnt you? ARN'T YOU!!! I SHALL NOT BE PROFILED ANYLONGER!!!!!!!!! YOU'LL HAVE TO TORTURE ME TO FIND OUT IF I LIKE THE SHINNY PENNY!!!!!!! DAMN THE MAN!!!!!!!!! Rofl.....thats the funniest thing I've heard all day. if I should suddenly stop appearing on this site, I want you all to know..........that was the the latest victem of secret agent 00Green. I leave all my earthly belongings to my dogs...........oh, and my brother. ROFL!!! Wow, Ralin, you should become a comedian. Unless Agent 00Green catches you first. good thing he's not Agent Orange. Ralin...man that was funny. They're right, you became a comedian over-night! actually he thought it up on the spot. good enough. Can people stop posting spam on this open-topic and say if you like them? I prefer stacks of gold bars. Chill green. It was a joke. Lol, love it. Yeah, shiny stacks of gold bars, for the win! That's because gold is more worth in $ and Ã‚Â£. I love shiny pennies because in britain, you rarely come up with one that is shiny and is from the period year - 2008! Anyone else like Shiny Pennies? wow green, what the hell kind of country do you live in? here in the US we've got shiny pennies back from the 90s and 80s, let alone 2008. i've got two from the 20s (with the Caesar leaves on the back instead of the Lincoln Memorial), and they still have a bit of luster in them. and i collect state quarters (almost got em all). Yeah love shiny things too. Gold, silver, nice bright shiny stones too. Once saw an awesome piece of art made with pennies actually Wish I could show you a pic of that. If I can find it I will. The artwork was super-heavy. You don't suspect it but when you stick several dozens of pennies on a plank it starts to weight kind of quickly.